Liam Payne's quick thinking and swift action helped save friend Andy Samuel after a blaze in the 1D star's apartment on Monday night. 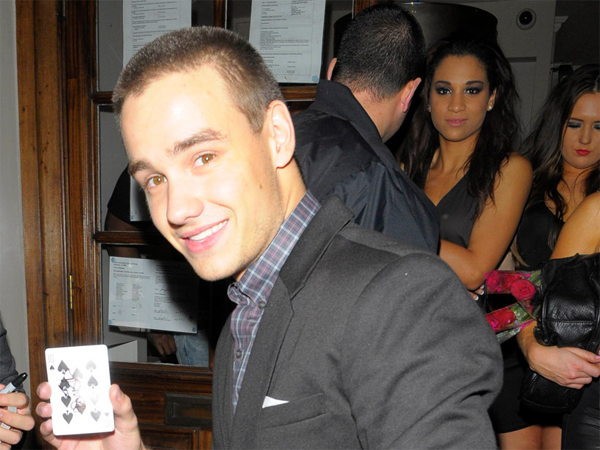 Liam Payne's quick thinking helped save his best friend's life. The One Direction star's swift action helped save Andy Samuel ? who grew up with Liam in ­Wolverhampton, England ? as he "beat out the flames" and "doused him with water" following a fire at the hunk's London flat which was caused by a patio heater exploding on Monday night. Andy's stepdad, Matthew Baker, is thankful for the singer's efforts and he told the Daily Mirror newspaper, "We are so grateful to Liam because he saved [Andy’s] life. "The lantern just exploded as Andy was lighting it and it took the full force of the flames. Liam helped him by beating out the flames and dousing [Andy] with water. He acted quickly and swiftly." Liam is "shocked" after Andy suffered 20 degree burns to his chest, legs and arms. He explained, "What happened was absolutely awful. My son is very poorly. I've spoken to Liam on the phone and he told me exactly what happened. He is very shocked himself. It's bad enough but it could have been a lot worse." Liam was in the kitchen of his £2 million (R32 million) flat, located in Canary Wharf in the east of London, when the incident took place, and was unharmed. Another two people are believed to have also suffered superficial burns to their hands. An ambulance and fire brigade were called at 9.45 pm and it took 35 firefighters to put out the fire which destroyed Liam's balcony. Liam's bandmates ? which include Harry Styles, Louis Tomlinson, Niall Horan and Zayn Malik ? were not with him at the time of the incident.